A traditional armband is rich with contemporary details. 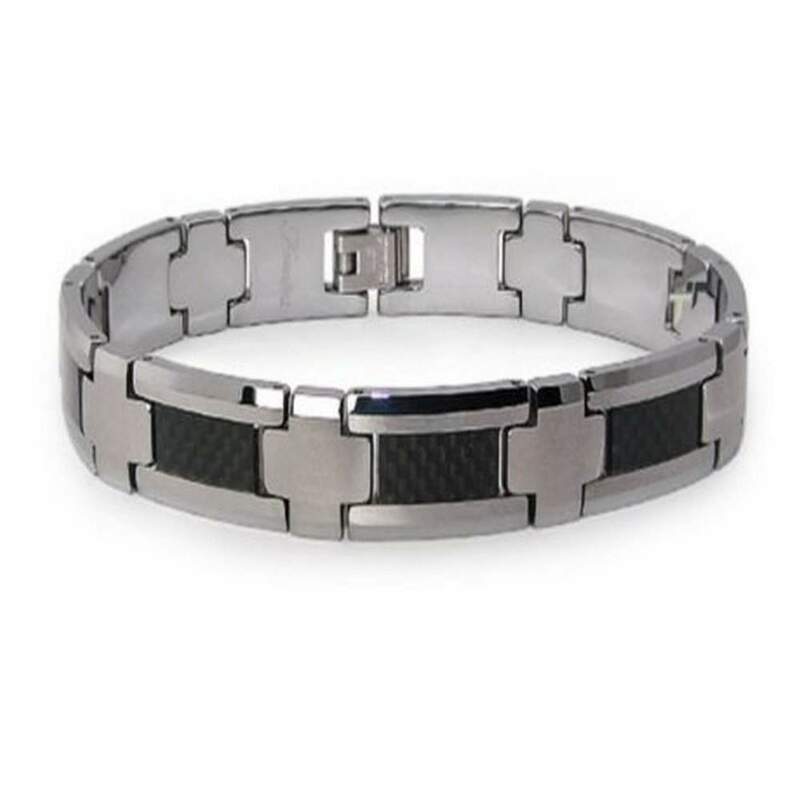 This brushed finish men's designer tungsten bracelet features cross links alternating with black carbon fiber inlaid rectangular links. Finished with a fold-over clasp, this tungsten bracelet measures 10.5mm wide by 9 inches long.